crafty goodies: Testing~with Epiphany Crafts! This is fun. Love the selfie strips! This is such a cute project. Thanks for sharing even though you're having blogger issues. Wish I could help. Try another browser and see if the same problem exists. LOVE LOVE LOVE this! Have you tried using another browser? I'm using Chrome. Ugh, I feel your pain on the computer problems, Connie. Hope they resolve quickly. 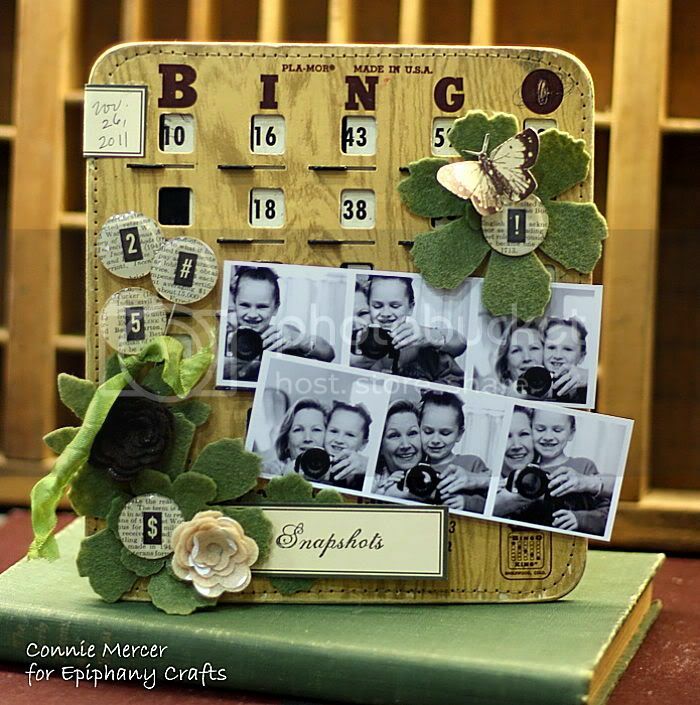 LOVE this sweet photo display and how you've jazzed up the BINGO card. What a great idea to use it that way! this is so cool! love that bingo card! Cute project. You have my empathy on dealing with technology - especially when trying something new. This is a wonderful piece. Good Times! :D I hope you got everything worked out with blogger. I had to switch to Goggle Chrome.